Do you like your MicroStation view background is white instead of black? And do you prefer to have full sized crosshair size instead of just few pixels wide? 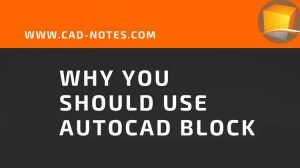 If you happened to use AutoCAD before, you might want that. Older AutoCAD has white background (but now it’s almost black) and has full sized crosshair (also not anymore in recent version). Some AutoCAD users also like to have the old settings back. Not only in AutoCAD, but also when they are using other program like MicroStation. So how can we change the settings in MicroStation? Both of them are in menu workspace>preferences. 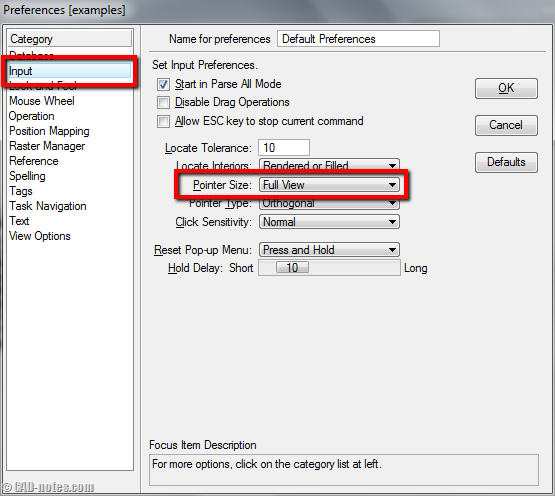 In opened dialog box, choose category view options. If you simply want to switch the background to white or black, you can check/uncheck black background –> white. (1). 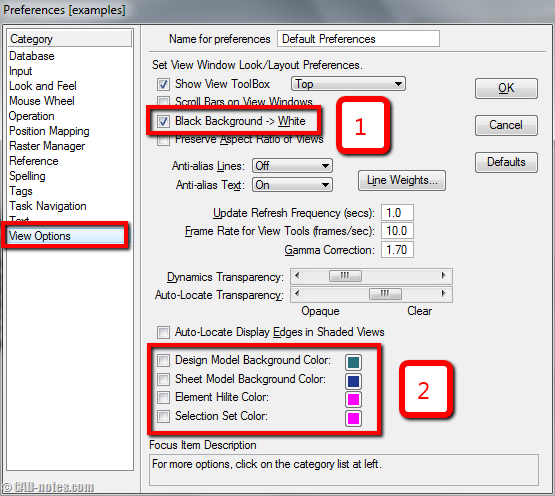 In AutoCAD, we can change the background color to any color we want. Can’t we do it here? Sure you can. I can’t see the reason why people want to have pink color as background, but if you do want it, you can define the background color in (2). Check which element you want to override, then choose the color you want. You can also change the pointer/crosshair size to full view. Some people find crosshair at this size gives more convenient and accuracy. You can change it in the same dialog box. Go to input category. Change the pointer size as shown below. What are your favorite settings for MicroStation look and feel? We have our own favorite, for different purpose. I like black background for work. But for writing purpose, I need it white. Especially when I need to print my captured images. Some people like to have the same look and feel to other application they use before. There are many possible reasons. What are your favorite settings? And why do you like it? how can you change the color for Sheet view? Instruction above is for Design model only. I am using V8 version. How can i save the state of my Levels and References? How do you display an image as background? Thank you. Are you trying to use an image as underlay? You can use image reference to do that. Thank you for the reply. I am still a little confused. Are you saying to import an image? About 15 years ago, I did a rendering of an isometric view of a plant and used an image as background. However, I had forgotten how I did this. I know that i was able to toggle it on and off by going to Settings>View attributes and toggle the "Background" option.